This afternoon after I dropped Makenzie off at school I made it to five stores. I got some groceries and household items, returned some items at 3 different stores and price shopped an item at the 5th and last store. Getting out of the car, locking the car, and walking into the store uninterrupted. No wheelchair, no kids touching things or running off. No begging for every last item in the store. There was no crying, or poopy diapers. Just me and the business at hand! Refreshing!!! Makenzie had a wonderful day! She did great in PT and Ot this morning and then it was off to school. As stated above I used this time to get a ton done before picking her up. I got there about 15 Min's early to find her sitting in her chair blowing bubbles with her friends! So much fun! I talked to her special education teacher and she was just thrilled with how well Makenzie did today! She had a great time playing on the trampoline, reading books, coloring with her friend but the best part was the bubbles! Makenzie's teacher reported that after she blew the bubbles and caught them on the wand Makenzie was reaching up and over to pop them! AMAZING!!! WOW!! THANK YOU JESUS! Upon returning home from school Makenzie had ABM and that went really well too! As I was getting her undressed to take a bath she was just in the best of moods! Kicking, moving, and babbling away. So I got her ball out and we played! Remember this was a little girl who 6 months ago didn't use her arms for much of anything. She didn't care about toys unless you played with them and surly never reached out for ANYTHING on her own! Now she is reaching touching and pushing with so much intention! So much healing! 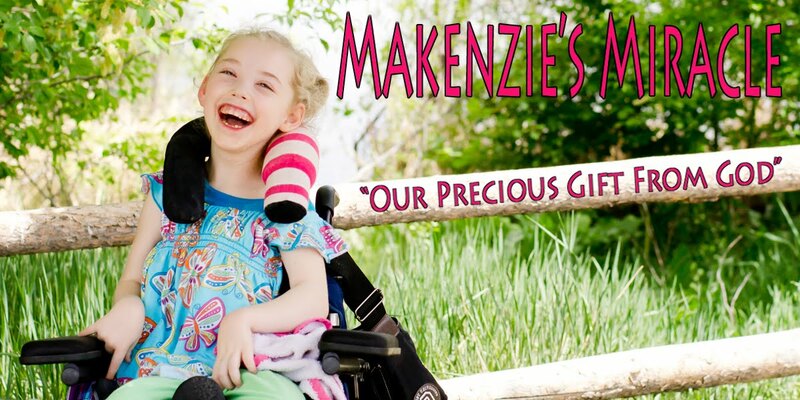 I am so, so, so, very proud of how hard Makenzie continues to fight for healing! What a true Miracle she is! Is that the movie, Up, in the background? Sounds like you enjoyed your quite time! TheBlogFrog loves your blog and is always praying for Makenzie and your family!